As one of the most visited cities in the world, New York has thousands of places to stay. For cruise passengers, that’s a great thing. It means you can find somewhere to stay close to the port and near many of the cities attractions. In fact, if you are coming from out of town, we highly recommend extending your trip by a day or two to take in some of the city sites. Staying near the Manhattan Cruise Terminal makes things easy and convenient. The terminal near many major landmarks like Central Park, Radio City Music Hall, and Times Square. 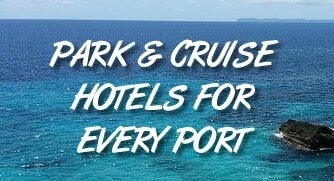 As well, when it comes time to head to your cruise, staying nearby means you can simply walk to the port, and don’t have to deal with finding transportation if you don’t want to do so. To help you out, we’ve rounded up a listing of a number of hotels that are closest to the Manhattan Terminal and that also have ratings of “Good” or higher from Kayak.com. This is by no means meant to be an exhaustive list of available hotels, but simply some of your best options if you want to stay near the port. Prices are for a recent search on a Saturday night stay and will vary based on your specific dates. Click on the name of each hotel to read reviews and more on TripAdvisor.com. Getting to the Manhattan Terminal — Information on getting to the port, including taxis and shuttles. Everything you need to know to get to the port and start your vacation. Manhattan Terminal Cruise Parking — Parking at the port? We’ve got you covered with all your parking options, including costs and discounts.